The Jingle Bells duets are excerpted from 5 Christmas Duets by Kenneth Baird and have been arranged specifically for the instrument noted. No effort has been made by the arranger to make the duets compatible with the duets he has arranged for other instruments (however, the trumpet and bass clef duets do work together. 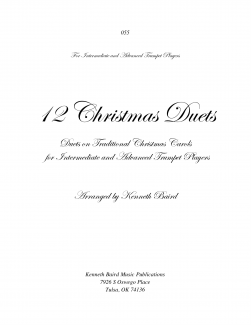 12 Christmas Duets by Kenneth Baird – Available for two flutes, two clarinets, two trumpets, two saxophones (or oboes), and two bass clef instruments. “12 Christmas Duets” is a delightful collection of intermediate to advanced level duets based on traditional Christmas carols; duets that are at times joyful, at times uplifting, at times serene. Several of the duets are quite challenging (definitely not for beginners). In addition to being a great resource for teachers to play at lessons with their students, these duets are suitable for informal or formal Christmas performances and many are appropriate for church services. These duets are arranged specifically for the instrument noted and no effort has been made by the arranger to make the duets compatible with the duets he has arranged for other instruments (however, the trumpet and bass clef duet collections do work together). Included are: Away in a Manger; Deck the Halls; Hark! The Herald Angels Sing; Joy to the World; O Come All Ye Faithful; O Come, O Come Emmanuel; O Holy Night; O Little Town of Bethlehem; Silent Night; The Wassail Song; We Wish You a Merry Christmas and What Child is This? “Five More Christmas Duets” arranged by Kenneth Baird. 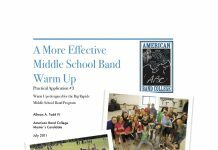 – Available for two flutes, two clarinets, two trumpets, two saxophones (or oboes), and two bass clef instruments. This collection includes The First Noel, Angels We Have Heard on High, God Rest Ye Merry, Gentlemen, Jingle Bells (the one posted here), and an arrangement of Joy to the World that is more traditional than the one published in 12 Christmas Duets. 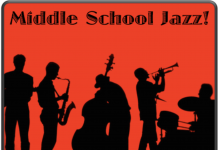 A 1995 graduate of ABC, Kenneth Baird is a composer of concert and solo/ensemble music for wind, string, and keyboard instruments, with a special emphasis on music for young performers. 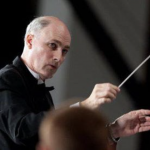 A music educator for over 30 years, Kenneth's teaching experience runs the gamut from beginning band and strings through college wind ensemble and orchestra, and has held teaching positions with Tulsa Public Schools, Inola Public Schools, and Oral Roberts University, and is currently teaching bands and orchestras for homeschooled children.